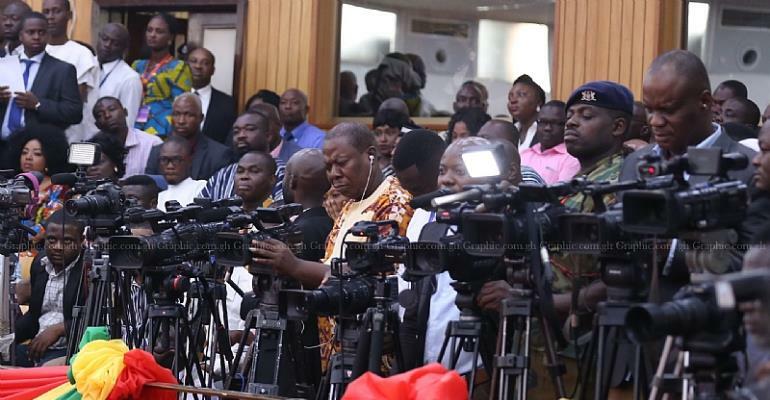 With The Passage Of The Right To Information Bill, Will The Ghanaian Media Wake Up From Its Deep Slumber? The Media General-owned TV3's Economic Dialogue Series, is a shining example of how the more responsible sections of the Ghanaian media, can contribute positively, to the nation-building process. Kudos to TV3. Some of today's second edition of the series was a solutions-based conversation, which focused on the need to grow our export trade - by increasing agricultural production that will eliminate the importation of produce such as rice, for example, and processed poultry products: in order to stabilise and strengthen our currency. It was very interesting indeed. Unfortunately, there are times when one gets the distinct impression that the Ghanaian media does not quite realise the power it actually has - and, above all, how that power and influence can be used to successfully fight the dark-malevolent-forces in our midst, which profit mightily from the egregious high-level corruption that is impoverishing millions in Ghana's base-of-the-pyramid demographic. As most discerning and independent-minded Ghanaians are aware, it is an abomination that is holding back our country's transformation into a prosperous and equitable society. That is why the time has now come for the Ghanaian media to be wide awake. With the passage of the right to information bill, surely, it must wake up from its deep slumber? Haaba. This author has authored 284 publications on Modern Ghana. Should Our Leaders Draw Inspiration From Dubai's Ruler?